One of my favorite car enthusiasts is currently starting a project to put a Toyota 2JZ, the legendary Supra motor, into a 1982 Chevrolet Corvette, and this got me thinking: what GM should do is make new Vettes with straight sixes. The logic is simple: the first Corvette came with an inline six cylinder. Cool. The current Corvette (and all other Corvettes other than those first few years of production) comes with a V8. Less cool. Was that Blue Flame-powered I6 Corvette good? Not really. It very much needed the V8 that it eventually got. But sixes were economy motors to Americans back then, not refined power engines like they can be today. Also of importance, GM has been freakishly obsessed with proving that the Corvette is the equal of its international sports car rivals, campaigning the car (and winning) at the 24 Hours of Le Mans, making track-ready Z06 editions and now probably making some sort of midengine version. It doesn’t need to do all that. Because the V8 is always going to define the car’s heart and character, and it’s always going to be impossible to shake off its cruder American stereotype. Nothing is going to break that away, at least as long as eight cylinders in a vee power the vehicle. No overhead cams, no twin turbos, nothing. So just make a really good straight six, and beat the rest of the car world at its own game. Look, this is not impossible. GM has made a pushrod V8 into one of the best and most compact engines in the world. You’re trying to tell me it couldn’t make a decent inline six? GM’s Vortec 4200 was in production into the late 2000s and is a well-respected powerplant, all-aluminum with dual-overhead cams, four valves per cylinder and a 10:1 compression ratio. With some serious effort, there’s no reason to believe it couldn’t be made the equal of anything else around. Again, car enthusiasts of the world adore this plan. The newest 2JZ Corvette project, done by Paco Ibarra of Tofu Drift Van fame, isn’t even the first 2JZ Corvette. 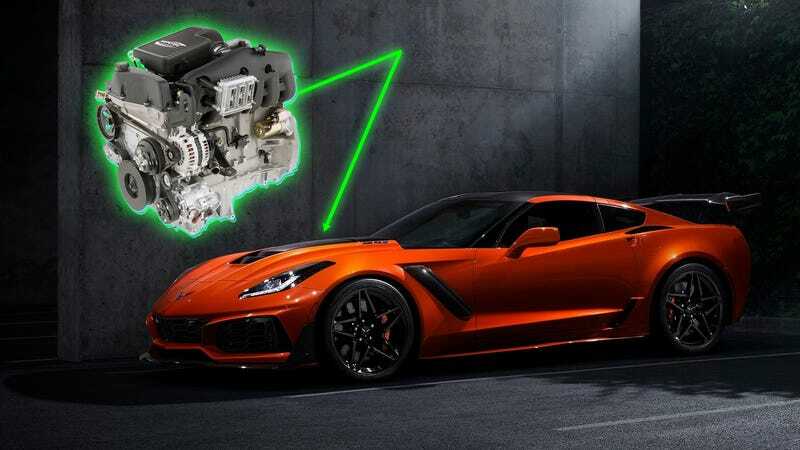 Another 2JZ Vette caught the internet’s attention a few years back on the drag racing scene, making four-figure power in the place of an older big block. It’s only fair to conclude that GM feels safe in its little V8 niche, where no other carmakers come to challenge it. Step outside of your comfort zone, GM, and face the rest of the world with smooth power and sweet engine noises.